We pride ourselves in utilizing the most advanced methods for your evaulation. By using digital radiography, less radiation is used and allows the ability to involve the patient in diagnoses and treatment procedures. 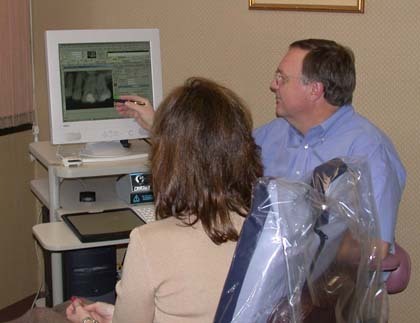 After a complete evaluation, Dr. Mullins' spends a considerable amount of time in providing a thorough explanation using various teaching aids.